Re: Helicoprion circular shark teeth! Not knowing what part of the country and age of the rock you recovered it from. Rock looks like limestone and the fossil looks more like a shell fragment of a Cretaceous Ammonite to me. Curious to hear what you find out. Thanks to Explorer I realize I am not a Helicorpion Shark expert and...I found a piece of Ammonite! I googled "Cretaceous Ammonite" + Texas. 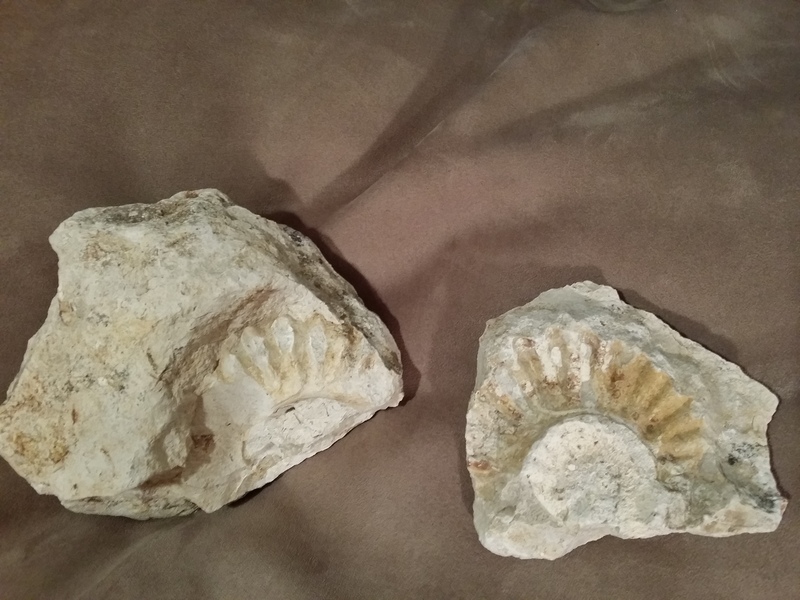 The images show some identical matches, thinking this Ammonite is around 90 millions years old - THANKS for the identification Explorer!